On Tuesday, September 17th, a U.S. flag made entirely of hemp will be placed atop the Vermont Capitol Building, in honor of Constitution Day, the day in which the United States Constitution was ratified. The flag being flown is the same one which was placed at the U.S. Capitol Building on July 4th, Independence Day. The flag was also placed atop the Colorado Capitol Building last month on August 1st, Colorado Day. In Vermont, as of July (thanks to Senate Bill 157), hemp cultivation is legal in the state. Farmers wishing to cultivate hemp must simply file paperwork with the Secretary of Agriculture, Food and Markets, maintain a 0.3% or lower THC content in the hemp they cultivate, and a pay a registration fee of $25. 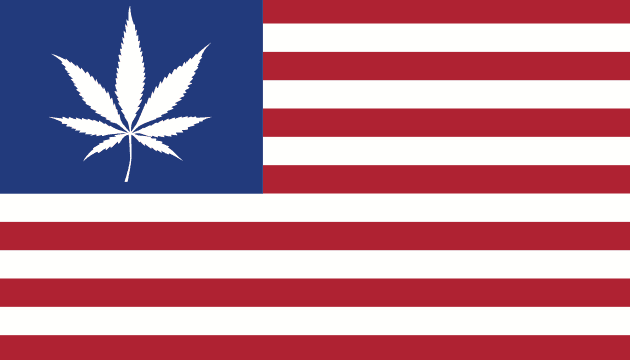 Given that hemp is now legal in Vermont – and given that they can now proceed (with caution) thanks to the Obama Administration’s recent announcement – the placing of a hemp flag at the state’s Capitol Building will surely be triumphant feeling for the advocates that made it happen.